He was born in South Korea, raised between Wisconsin and Seoul, and educated in Paris. So it is no surprise that Steven Kim has chosen to make his home in Indonesia, thousands of miles away from any of those countries. Why? 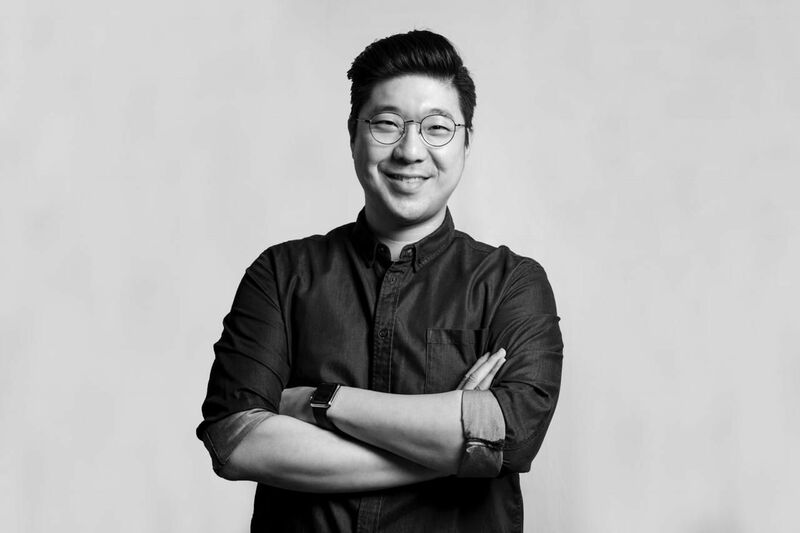 Because Kim firmly believes Jakarta is a honeypot for Asian entrepreneurs—a theory he has proved true with Qraved, a hugely popular platform that provides users with restaurant information, reviews, recommended dishes, promotions, and an instant booking facility. There are dining guides, YouTube videos, an online magazine and BuzzFeed-like lists for everything from where to get the best pizza to how to spoil your partner on Valentine’s Day. Qraved has quickly risen to become Indonesia’s leading food and beverage platform—a local Yelp that does so much more than just offer reviews. Kim himself dreamed up the idea after he launched e-commerce platform Zalora across Southeast Asia and discovered Indonesia's gap in the market. We sat down with Kim to talk food, family life, and the unusual tactic he used to learn French. Explain what you do in one sentence. Qraved is a leading Indonesian food and lifestyle platform that allows consumers to easily decide on where and what to eat, by helping them discover like-minded communities and use promotions and coupons. What’s non-negotiable for you in business? We’re all about helping businesses—and not just our own—grow. Everything we do, from product services to social services and working with micro influencers, is focused on growth. We don’t want to just make money, we grow as much as our partners do. So I suppose the "every man for himself" mentality is something I’m really against. It’s a mix of all the individuals who have innovated tech in the world. Steve Jobs was an incredible innovator, particularly in the way he mixed practicality and innovation. We focus on practicality in the short term, and often think visionaries have a hard time between being practical, and vice versa. But it is very important to look at both and give them equal weighting. Steve Jobs always did that. I’d say that if you’re a tech entrepreneur in developing markets, so much of success is about execution—ensuring your basic infrastructure is in place, including 4G, and that the level of educational support is there for workforce. Right now, we’re solving the problem of when and where to eat, but we do see ourselves going into where to go, what to do and what to buy. Right now, we’re also focused on Indonesia, and the platform can easily scale here—we’re open to promotions, food delivery and more, and see ourselves as part of a new wave of start-ups who help Indonesians figure out how to enjoy free time. We do see differences between ourselves and developed countries like Singapore or Hong Kong, but Thailand, Vietnam and the Philippines have similar traits and could be naturally appealing to us. Any productivity hacks you swear by? I think the key to everything is learning what to prioritise. It was Warren Buffet who said that we should all write down 20 things we need to do, and circle the five most important, and then the three most, and so on until there is only one left, which you do immediately. That has served me well. Other than deciding to work for yourself, what was the single most important decision you made that contributed to your success? Deciding to not only live in the world as a Korean. The really eye-opening experience for me was attending INSEAD [the business school in Paris], which made me appreciate for the first time all the amazing cultures and people around the world. Having grown up bilingual in Korean and English, I also loved challenging myself to learn French. I’d go and sit in brasseries and talk to all the lonely old men to practice my language skills—they were the only people with the patience to talk to a beginner! What was your greatest failure and what did it teach you? Failure is normal. I would be surprised if I didn’t fail, but it’s the best learning opportunity and ambitious people have to be able to bounce back from it. For me, my biggest failure led to our greatest success. When we launched, we were spending all this money on Google to acquire more traffic and put a lot of effort into getting a good SEO score. We invested months in this and saw no traction. It felt like a failure, but then we started interviewing customers and realised that in Indonesia, people don’t really use Google. So instead we started investing in social media platforms and on blogs and influencer websites and our numbers skyrocketed. Spend more time with my family. I have a seven-month-old baby and it’s been a significant step to make sure I get off work before dinner. It’s a major change from the old me, but it’s good to have balance at last. Related to deciding what my goals were. Everybody struggles with this, but someone wise told me not to put a dot in my future and aim for that—just figure out what you don’t want. It helps narrow down the direction but stops the stressful feeling that you’re not on the right track. Name three things every young entrepreneur needs to be armed with. Perseverance, willingness to fail and endless curiosity for learning new things.